RIDGID VJ-98 V Head Low Pipe Stand. A full range of Heavy-duty adjustable pipe stand. Suitable for use with threading machines, roll groovers, etc. 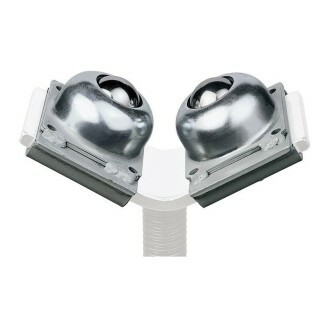 RIDGID BTH-9 Ball transfer Head for VJ stands. RIDGID RJ-98 Roller Head Low Pipe Stand. Roller Head Low Pipe Stand, for use with threading machines etc. RIDGID RJ-99 Roller Head High Pipe Stand. 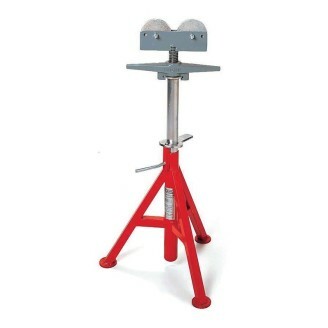 Roller Head High Pipe Stand, for use with threading machines etc. 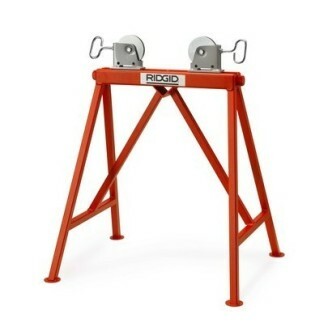 RIDGID CJ-99 Conveyor Head High Pipe Stand. Conveyor Head High Pipe Stand, for use with threading machines. RIDGID 46 Adjustable Pipe Stand Support. 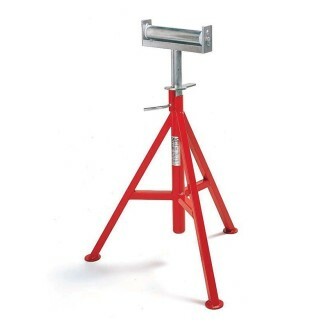 RIDGID 92 Adjustable Pipe Stand Support. 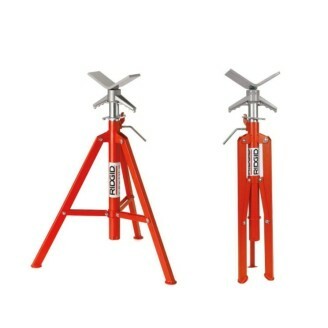 RIDGID VF-99 High Folding Pipe Stand. 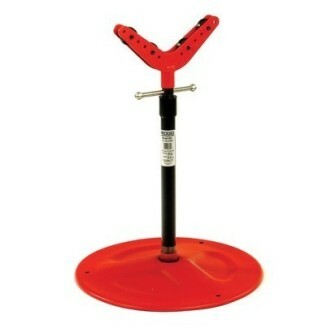 A full Heavy-Duty adjustable pipe stand. Suitable for use with Threading Machines, Roll Groovers, etc. 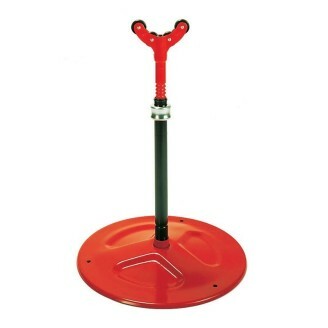 RIDGID RJ-624 Large Diameter Pipe Stand holds 6"-24" (15-61 cm) diameter pipe and up to 4,500 lbs (2,041 kg). Heavy-Duty rollers allows the pipe to turn freely for welding and roll grooving applications. Height Adjustable. 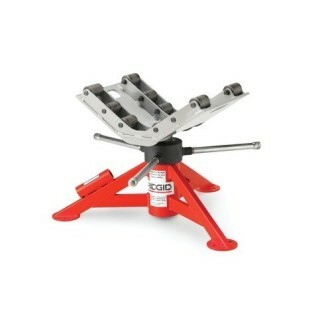 RIDGID 965 Support Stand for Roll Groovers. Ideal for use with Threading machines, Roll Grooving, or other pipe working applications. 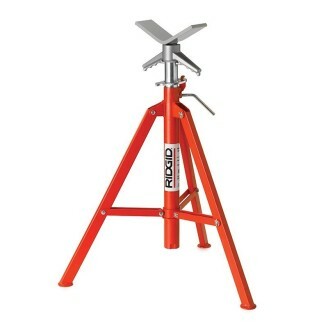 RIDGID AR-99 ADJ-STAND W/Steel Rollers. 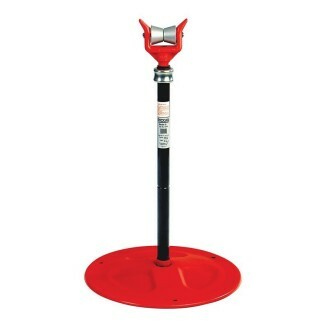 Adjustable Stand with Steel Rollers Feed screw quickly adjusts size and keeps pipe centred on stand Rollers can be locked to prohibit rotation Ideal for use with threading machine, roll grooving or other pipe working applications.